Gilbert Mitchison was born in Staines on 23rd March 1890. Educated at Eton and New College, Oxford. He qualified as a lawyer but on the outbreak of the First World War joined the British Army. While on leave in 1916 Mitchison married the VAD nurse, Naomi Mitchison. Mitchison served with the Queen Bays on the Western Front and promoted to the rank of major became a member of the British Mission to French Forces in Italy. Mitchison suffered a fractured skull in a road accident at Gamache. When he left hospital he joined the Staff College. After finishing his training in the summer of 1917 he obtained a staff post in France. A member of the Labour Party Mitchison unsuccessfully contested the Kings Norton division of Birmingham. In 1931 G.D.H. Cole created the Society for Socialist Inquiry and Propaganda (SSIP). This was later renamed the Socialist League. Other members included Mitchison, William Mellor, Charles Trevelyan, Stafford Cripps, H. N. Brailsford, D. N. Pritt, R. H. Tawney, Frank Wise, David Kirkwood, Clement Attlee, Neil Maclean, Frederick Pethick-Lawrence, Alfred Salter, Jennie Lee, Gilbert Mitchison, Harold Laski, Frank Horrabin, Ellen Wilkinson, Aneurin Bevan, Ernest Bevin, Arthur Pugh, Michael Foot and Barbara Betts. 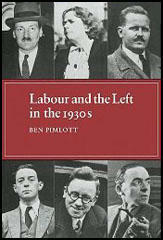 According to Ben Pimlott, the author of Labour and the Left (1977): "The Socialist League... set up branches, undertook to promote and carry out research, propaganda and discussion, issue pamphlets, reports and books, and organise conferences, meetings, lectures and schools. To this extent it was strongly in the Fabian tradition, and it worked in close conjunction with Cole's other group, the New Fabian Research Bureau." 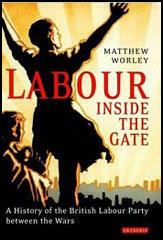 The main objective was to persuade a future Labour government to implement socialist policies. Mitchison was successfully elected to represent Kettering in 1945. Mitchison was opposition spokesman on Housing and Local Government (1955-59), Treasury and Trade Affairs (1959-61), Science (1961-63), Works (1962-63), Treasury Affairs (1962-63) and Pensions (1963-64). On the election of the Labour Government in 1964, Harold Wilson appointed Mitchison as parliamentary secretary to Ministry of Land and Natural Resources. In August 1964 he was created Baron Mitchison and joined the House of Lords. He also became a member of the Harlow Development Corporation (1966-70). Gilbert Mitchison died on 14th February, 1970. The Socialist League was socialist first and radical second; like the ILP and the CP its approach was fundamentally utopian. It accepted as an article of faith that unemployment was an endemic feature of capitalism. William Mellor prefaced his proposals for a short-term programme by means of which Labour could tackle unemployment with the note: "The plans out-lined are not presented as a cure of this scourge of capitalism. Socialism alone can change compulsory Unemployment into remunerated leisure, with the machine as a servant, and effective demand equal to productive capacity." Thus non-socialist planning could at best - when carried out by a Labour Government with genuine socialist intentions - bring a temporary alleviation, pending the transition to socialism. At worst, when carried out by a capitalist government, it reinforced the control of industry by capitalist and financial interests, at the expense of the workers. The latter possibility was especially abhorrent because of the strong Guild Socialist background of the League. In this respect Cole, the effective founder of Guild Socialism, was the major figure. In spite of his tactical differences with the League, his intellectual influence remained strong. He played a large part in the formulation of the League's policy document, Forward to Socialism; he continued to deliver lectures to, and write pamphlets for, the League; and several of his former SSIP colleagues remained on the National Council. Two of these, Mellor and Horrabin, central figures in the League, had a particularly strong Guild Socialist background. Both had been members of the Labour Research Department group of Guild Socialists with Cole in the early twenties. Mellor had been a Guild Socialist delegate at the Foundation Conference of the CPGB. It was therefore not surprising that the Socialist League put a very strong emphasis on workers' control, or that it put up an intense resistance to any scheme for industry which seemed to negate it. Socialists must see that, if industry has to be managed by Boards, the workers have a controlling place on those Boards, both nationally and locally and in every factory or other unit of industry or trade. It is not in practice sufficient that the workers' interests should be represented by one or two trade union officials on a central body. The national or local board must be built up out of similar boards in factories, mines and workshops. It is not impossible to devise means for the election by the workers of their representatives in the control of industry... Nationally, the Board of an industry must be under the direct control of some such planning authoriry as the economic committee of a reconstituted cabiner, and it must be answerable to Parliament.